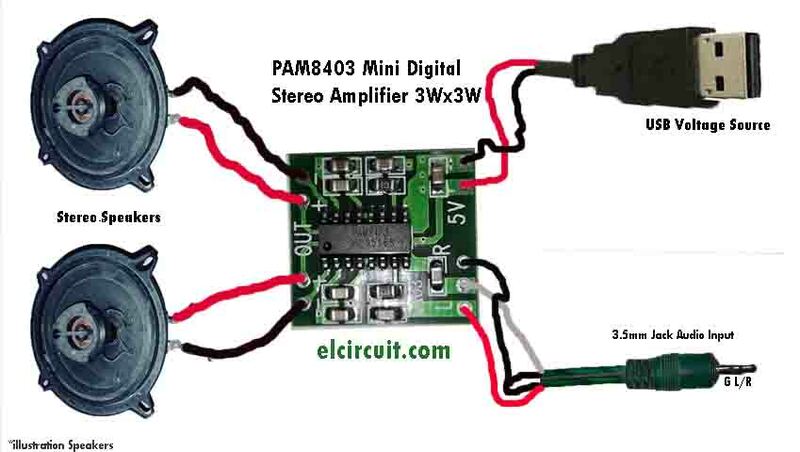 This is Mini Digital Stereo Power Amplifier with Based on single chip IC PAM8403, by using IC PAM8403 and other components. 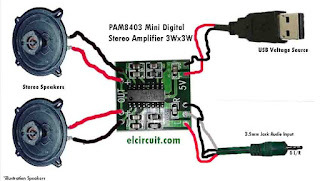 This Amplifier can call as Super Mini amplifier, see this amplifier kit PAM8403. The amplifier power is very small, the size of the headphones makes this amplifier extremely practically does not take place. 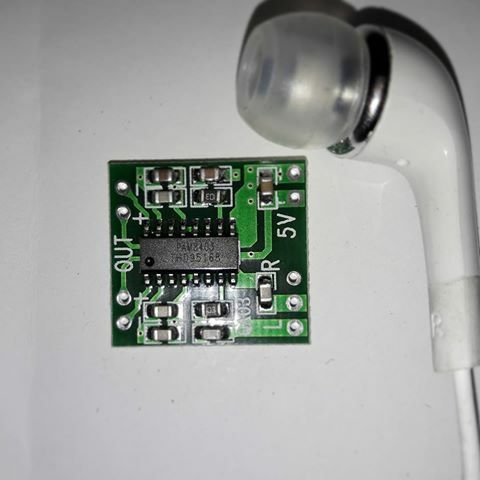 With an input voltage of 5V taken from USB, power amplifier output is about 3W stereo amplifier. Her voice output is not bad, for a stereo amplifier's surround.You can buy these at Mini digital amplifier electronics stores online, which is already widely spread. How to run a mini amplifier is not so difficult, it just takes a few supporting components, namely: 2 Fruit Speaker 10W 4ohm, 1 USB Male, 1 audio input jack (I use a 3.5mm jack male), and some cables to connect the circuit. PCB lettering on OUT + - is output to the speakers Right and Left, LR for audio input and 5V + - for the power supply. what the maximum voltage for this PAM8603 amplifier?